Time now for round 3 of Spinal Tapdance’s look to the regrettable past. Apparently I have just as little pride as I have shame, but there you are. After a five-year hiatus, Morgion returns with the latest chapter of their highly atmospheric melodic doom mélange. 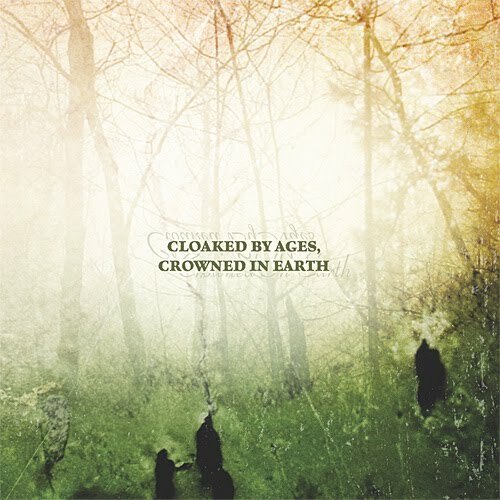 Cloaked By Ages… is a relatively more reserved affair than 1999’s Solinari, and as such, it never quite reaches the same visceral heft that made Solinari such a satisfying record. However, what Cloaked By Ages… sacrifices in heaviness, it more than makes up for in subtlety and atmosphere. This is not to say, of course, that Morgion has gone soft, for there are plenty of moments of that glorious doomy crawl punctuated by some truly deathly vocals. Rather, on Cloaked By Ages… it is clear that the heaviness is no longer what characterizes the band, and that it is instead just one of the moods they are apt to utilize from their ever-broadening stylistic palette. Nowhere are these tendencies more clear than on the album’s brilliant opening combination of “A Slow Succumbing” and “Ebb Tide (Parts I & II).” Throughout the course of these two tracks, Morgion runs the gamut from morose twin guitar harmonics reminiscent of My Dying Bride, to positively plodding doom melodies, to soaring clean vocals, to passages of gentle atmosphere, highlighted by gentle acoustic guitars and other organic sounds. Unfortunately, the rest of the album tends to tread too-similar ground, and as a result, the album’s latter half is much less memorable. On “Cairn,” however, Morgion manages to effectively but not blatantly mime Judgement-era Anathema. Though the album ends up sounding awfully similar throughout, these American doomsters (though you wouldn’t know it by listening – they’ve clearly steeped themselves in British doom) have nevertheless fashioned a thoroughly contemplative album. If you’re looking to be transported to a sun-soaked clearing in a deep, dark forest, throw on a pair of headphones and let Morgion take you away – you just might find it blissful. Probably not as painful to read as that Cradle Of Filth review, and unlike with that one, I still stand by my impression of this (sadly final) album from Morgion. Ah well. We may be done with the past, but etc, etc. And so the creepiness grinds to a halt, at least temporarily. I’ve never actually listened to Morgion… sounds like I might be missing out.